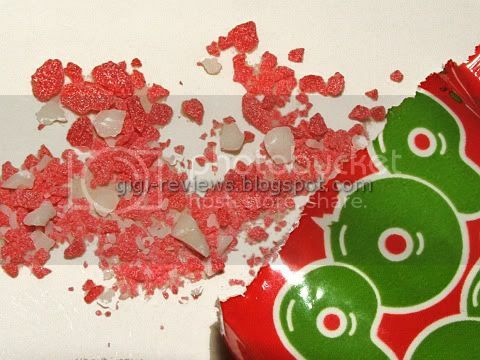 Looking at the Candy Cane Pop Rocks, they did indeed look like broken up bits of candy cane. This was promising. But upon giving the freshly opened packet a good sniff, I began to get the sinking feeling that something had gone horribly wrong...oh no, could it be...? Dang it, I done got Rick rolled! You see folks, apparently I'd assumed too much when I picked up a packet of CANDY CANE flavored Pop Rocks and thought that they would, I dunno, taste reasonably close to CANDY CANES. And in my little corner of the universe, candy canes are by definition peppermint flavored -- and I am not alone in this opinion. The all-knowing Wikipedia entry also describes candy canes as being traditionally peppermint (or cinnamon, to be fair). Even the website All About Candy Canes backs that up. 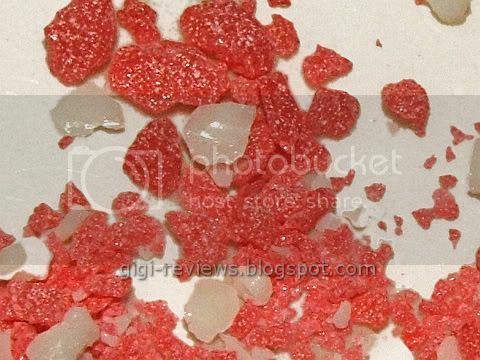 So what's the problem with the Pop Rocks version? What's the Rick roll here? 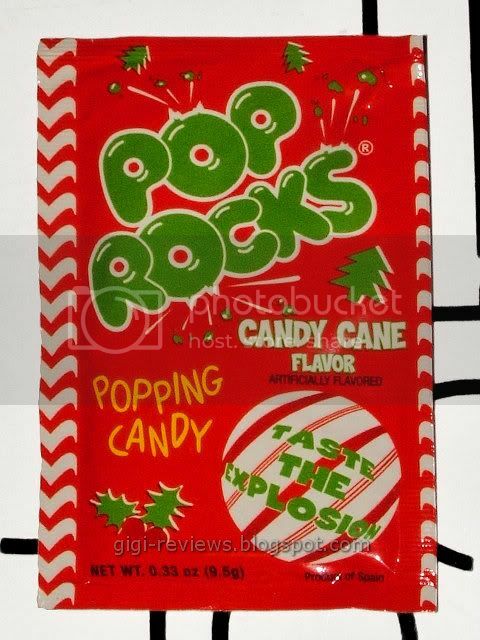 The Rick roll is this: Somehow, Candy Cane flavor in the Pop Rocks universe is not peppermint, or even cinnamon -- but CHERRY! Yes, you read that right. You expect mint and you get cherry, fer cryin' out loud. And a really bad cherry at that. Take the cheapest, sourest, most vile artificial cherry flavor ever...well, that is still probably better than this. Now, I was willing to believe that maybe somehow I just got a bag that had the wrong flavor put into it. But a little Googling turned up other reviews, including this one from Candy Addict back in 2006, which proved that no, it was not in fact an error. The Candy Cane flavor really is (a frightening, mutated, artificial) cherry. Yeah, the popping sensation is just as great as I remember. But when you are expecting peppermint and you get something even slightly worse than generic cherry cough drop flavor instead, you have to ask yourself is it worth it? For me the answer is NO.